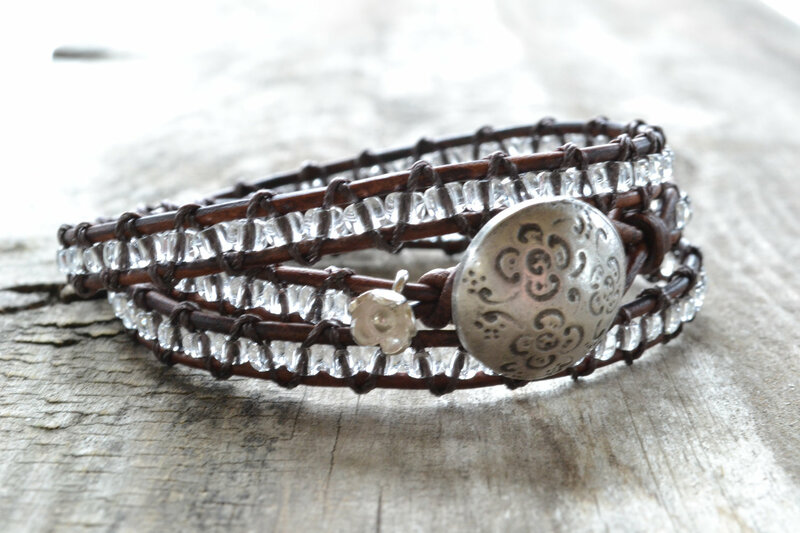 this gorgeous bracelet can be all yours! Check out the beaded leather cuffs she has too~I want one! Jessica is offering free shipping to all my sweet savannah readers too! I also wanted to let you know of a great deal that my friends at Spark Modern are having. Wow... am I first. I love the bracelet. What a great giveaway. Will be perfect for the holidays. Beautiful bracelet! Thank you for the lovely giveaway today! Melaine, this piece is soooo pretty! Love bracelets and this one is so pretty! Great giveaway! Thanks at the chance at this great giveaway. I love it! Love the bracelet!! Awesome giveaway!! love the triple wrap bracelet. wow - what a great bracelet. LOVE IT! Very nice give away...the bracelet is beautiful! Thank you for inspiring me on a daily basis! Cute bracelet! Thanks for the info on the pillow sale too. That's beautiful. I'm a big fan of arm candy. Love that bracelet! Thanks for the giveaway. So pretty! And what a lovely shop! Beautiful bracelet. Would love to win it! I absolutely LOVE every one of these bracelets and would love to be the winner. Thank you so much for making this possible!!! Lovely Bracelet...thanks for sharing such a great site. Such a cute bracelet, thanks for the giveaway! oh my gosh that's gorgeous! so unique!!! Such a fun bracelet! Love the turquoise pieces also! Great Bracelet. Thanks for the giveaway. Soo cute! I'd love it! Thanks for the giveaway!! So cute! In the spirit of giving though I would have to pass it on to my daughter who has had her eye on one. I love, LOVE your blog. I just "liked" Jessica's Serenity on FB--her jewelry is beautiful. Thanks for sharing her work with us. I would love a bit of sparkle! Beautiful bracelet and you're right, the cuffs are gorgeous! Thanks. 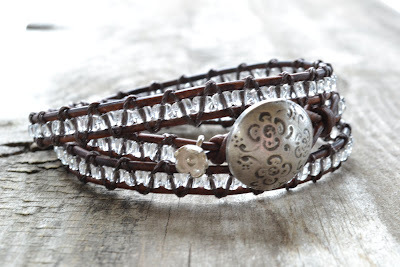 What a beautiful bracelet!Need to check out her store! gorgeous bracelet! please enter me - id love to win!!! xoxo (thanks for the opportunity)! i've been liking her bracelets for a while now! Love this bracelet!! I am so excited a out this giveaway. I am BIG into bracelets and really like this one. Love the giveaway! Thanks for a chance at winning the beautiful bracelet! Cute bracelet= )! So pretty !Love her shop )! Love the cuffs, and this bracelet is gorgeous, too. I'd love to win! Beautiful. Count me in! Thanks Melaine. Fabulous giveaway!! I love the bracelelt. Very nice giveaway. Thanks for the opportunity. Would love to be entered, thank you!! beautiful bracelet!! Love it AND my new red cowboy boots!! I was so excited when they came in the mail!! Very pretty. I just recently made one. Let me tell you, it's not easy. So very pretty! I'd love to win that bracelet. What a pretty bracelet. Love the leather and sparkle. I love wrap bracelets. It's beautiful! Love the bracelet! Hoping I win one of these days! Love, love it! Thank you for the giveaway!